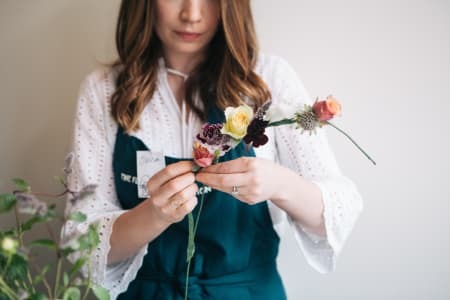 The Flower Appreciation Society is a thriving, Hackney based flower studio. As the name suggests, we love what we do and the flower arrangements we create. 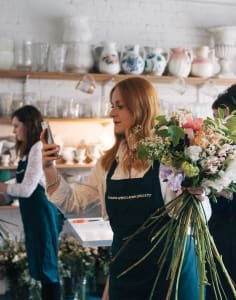 Whether sharing our expertise with other flower appreciators in our workshops, working with couples to create beautiful flower arrangements for their weddings, or collaborating with well-known brands to create flower installations for events and shoots, we always bring huge enthusiasm and attention to detail to everything that we do. We source many of our flowers from our very own cutting garden around the corner from our studio. This is not only better for bees and the environment but better for you: our seasonal ‘garden grown flowers’ allow us to create beautifully wild and natural looking arrangements. 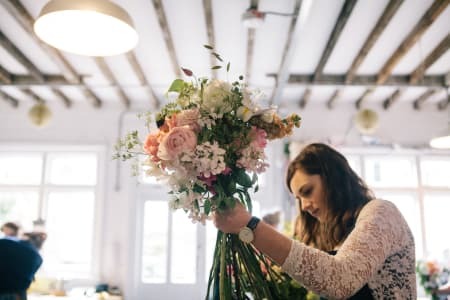 Today their small but thriving team creates flowery magic at our studio in Hackney, East London.